Now this is interesting. 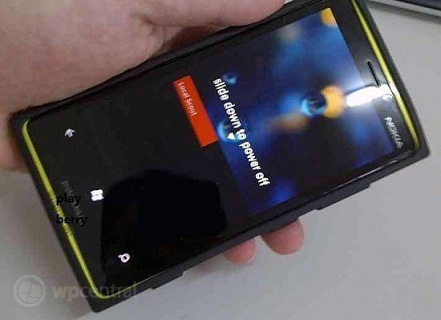 As we are nearing the launch of the Windows Phone 8 OS a new leak of which is expected to be a WP8 prototype from Nokia has leaked over Sina Weibo. If you don’t know about Sina Weibo, it is a sort of Twitter in China and has been spotted by WPDang. 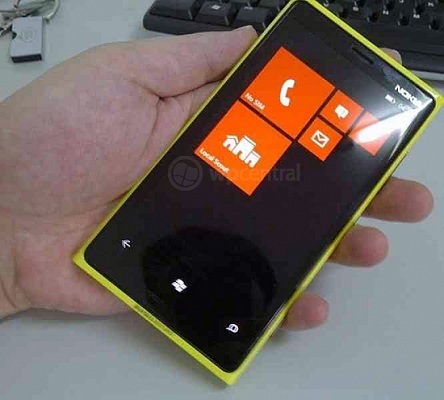 The leaked prototype is in Lemon or Yellow colour and bears the old Windows Phone icons. The prototype matches the Lumia style design and with a size of Nokia Lumia 900 but a curved screen of Lumia 800. The device seems to be running on Windows Phone 7.8 or even may be Windows Phone 8 but we feel its Windows Phone 7.8. No details on the specs are available from this leak but we feel we could see this Lumia at the upcoming Nokia World which is happening next month. We would still tag this leak under the rumours category but how does the device look to you?